Over 100 feet of Seamless Eavestrough! Here is some picture of the barn we put 104 feet of continuous gutters on east of Didsbury Alberta. It was a challenge, but with a but of patience and a few good hands we did it! 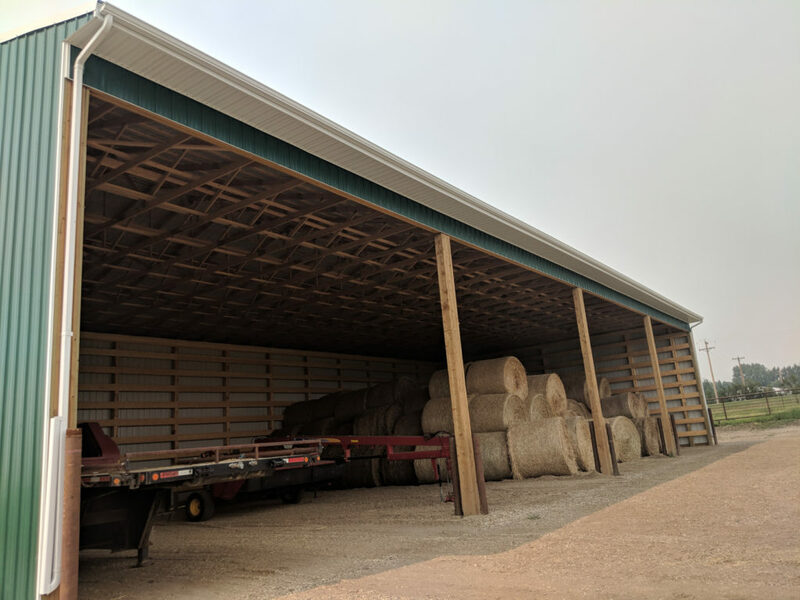 So if you need gutters for your big barn just give Natalie a call at 403-167-7280. We service Didsbury, Olds, Sundre, Carstairs, Cremona and Water Valley.